I'm sure I've mentioned 20x200 before. Its a great art site that features different artists for affordable prices (if you act quickly.) The one the showed up in my email on Thursday really caught my attention. 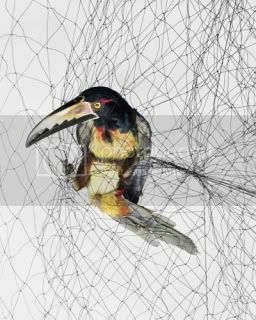 Todd Forsgren has a similar background to my father - biology and art - which is why the images of these birds caught in mist nets caught my eye. With father's day right around the corner, I was a bit disappointed that none of the $24 prints were left - and I've been scouring the internet ever since to find a print more affordable than $2400. 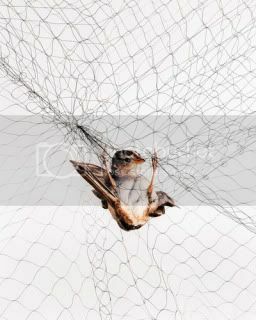 Forsgren's entire ornithological series is on his website - if you are interested in checking out the other birds photographed.